A traditional garden or home lantern ornament in the form of Buddha, made from aged effect grey terracotta and glass. 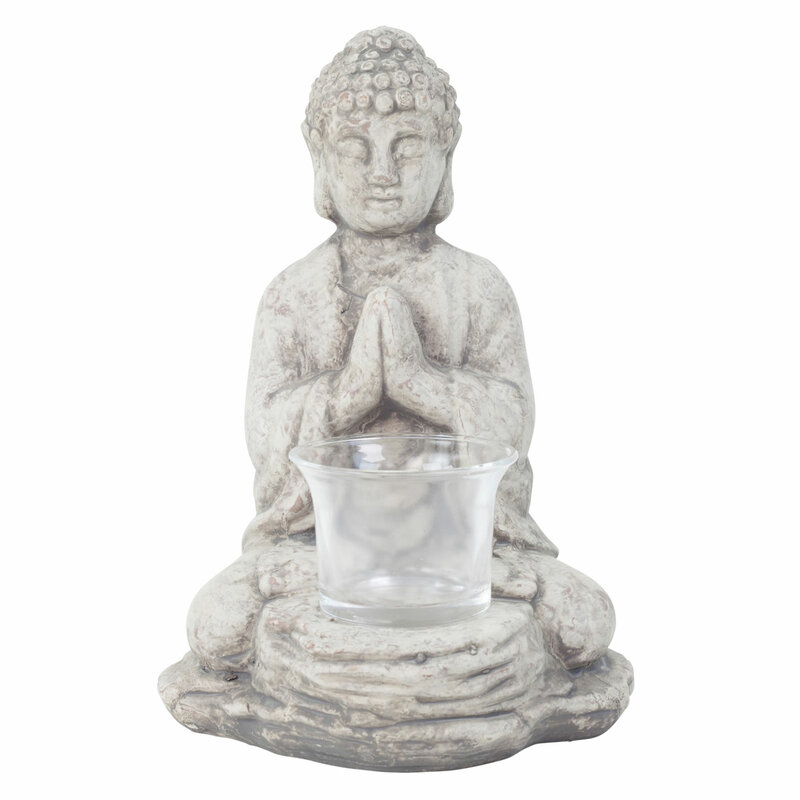 This tealight holder will make a perfect addition to a tranquil outdoor space, particularly among plants and bushes or inside the home on a windowsill or shelf. 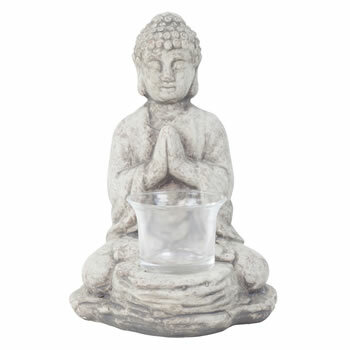 Glass holder will fit a single standard tea light candle. H18 x W13 x D11cm in size, weather resistant.